Manmohan Singh, Ahmed Patel, senior leader Ghulam Nabi Azad and former union minister Anand Sharma will be part of Congress’ massive campaigning. AHMEDABAD: Congress released a list of 40 star campaigners on Monday for the upcoming assembly elections in Gujarat. The list contains the name of the party president Sonia Gandhi and vice-president Rahul Gandhi. 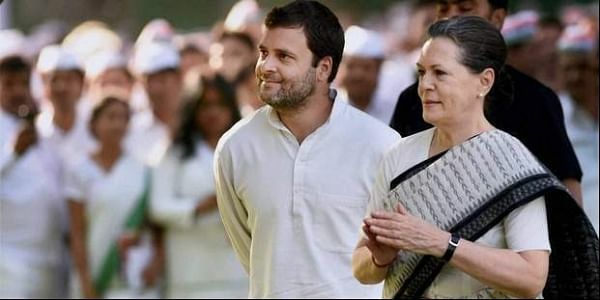 Former Prime Minister Manmohan Singh, Rajya Sabha MP Ahmed Patel, senior leader Ghulam Nabi Azad and former union minister Anand Sharma will also be part of Congress’ massive campaigning to canvass support for the party. Apart from this, former Rajasthan Chief Minister Ashok Gehlot, former Haryana Chief Minister Bhupinder Singh Hooda will be part of this campaigning too. The counting of the votes will be held on December 18.